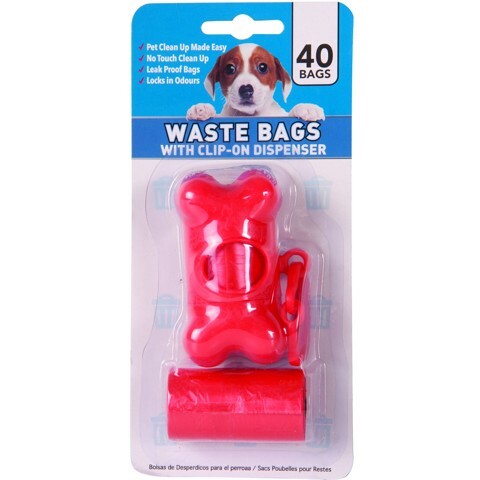 Pet Waste Bag + Dispenser 40Pk. Disp= 5 x 8 x 4.2cm l Bags= 14 x 32cm + Gusset. 3 Assorted Colours: Blue | Green | Red. PP Dispenser Roll Up Poly Bag . 124G Packaging: Blister Card.